After the recent attack on Alison Bechdel’s groundbreaking graphic memoir, Fun Home: A Family Tragicomic in New Jersey, CBLDF and the Kids Right to Read Project drafted a letter of support to encourage the Superintendent of Watchung Hills Regional High School to stand behind their own curriculum. 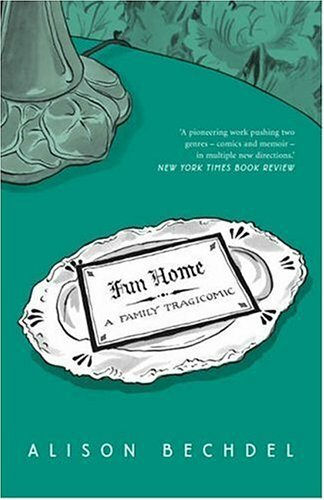 Fun Home Was assigned to several senior English classes this spring after Watchung Hills spent two years studying and reconsidering their curriculum and ways they could improve it. The review and recent expansion of the school’s reading selections came after multiple graduating students and alumni offered feedback saying they felt that the school didn’t reflect the spectrum of sexual and gender identities at the school and in the world at large. The high school already has an “opt-out” policy in place, where any student uncomfortable with an assigned text, can choose to read an alternative assignment, but to Steve DiSturco and Mark Bisci, the two parents who voiced complaints about the graphic novel, the policy isn’t sufficient, and they don’t want children singled out for not participating. Their sensitivity to the isolation children might experience reading a different text in class is tone-deaf to the isolation students who can’t find themselves represented in the current curriculum feel. The letter addressed to Superintendent Elizabeth Jewett discusses legal precedents set that support the First Amendment right of students and offers additional help with the challenge if the school needs it. “We understand that the book – which was recently added to your 12th grade curriculum after a two-year review – contains illustrations that some parents have objected to, prompting a review per Watchung Hills District Policy 2240. Also included with the letter, is a copy of the CBLDF Discussion Guide for teachers using Fun Home in their classrooms. In addition to CBLDF, the letter was signed by National Coalition Against Censorship, American Library Association’s Office for Intellectual Freedom, National Council of Teachers of English, American Booksellers for Free Expression. Read the full letter and discussion guide below. For more information about adding Fun Home to your classroom or library, check out more CBLDF resources here.